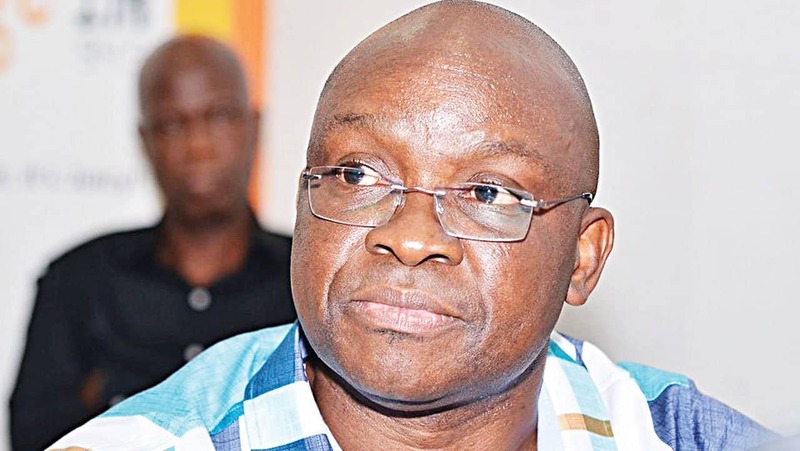 The Ahmaddiyya Muslim Society in Ekiti State has accused the former state Governor, Ayodele Fayose of grabbing its land to build a filling station for his son. 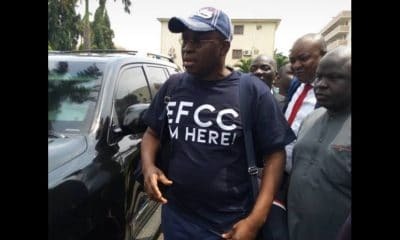 The Muslim body urged Governor Kayode Fayemi to revoke the alleged unlawful allocation of the land to Fayose’s son to avert a crisis in the state. It said the land, located at Odo Otu in Atikankan area of Ado-Ekiti, the state capital, was acquired in 1940 during the reign of the late Ewi, Oba Anirare Aladesanmi. 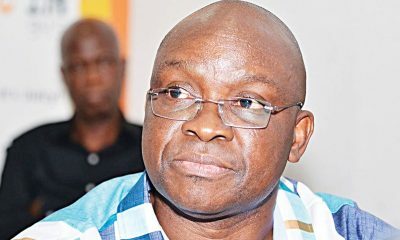 Ahmaddiyya Muslim Society described the “forcible takeover” by Fayose as “an act of oppression to Muslims in Ekiti”. Placard-carrying members of the organisation staged a peaceful protest against the alleged land grab in Ado-Ekiti. Some of their placards read: “We Want Our Land Back”; “No Illegal Acquisition of Our Land”; “Enough of Marginalisation of Muslims in Ekiti”; “Government, Give Us Our Land,” among others. 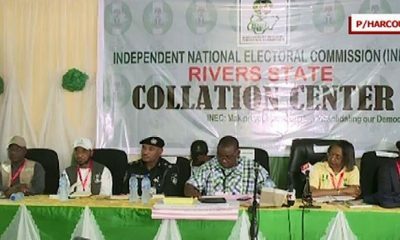 Addressing reporters on the development, President of Ahmaddiyya Muslim Jama’at in Ekiti State Mr. Bashirudeen Alawode said the organisation was surprised to see a new petrol station being built on the land earlier this year. He said the Islamic movement built the first mosque on the land in 1940s before the old structure in mould blocks was demolished. 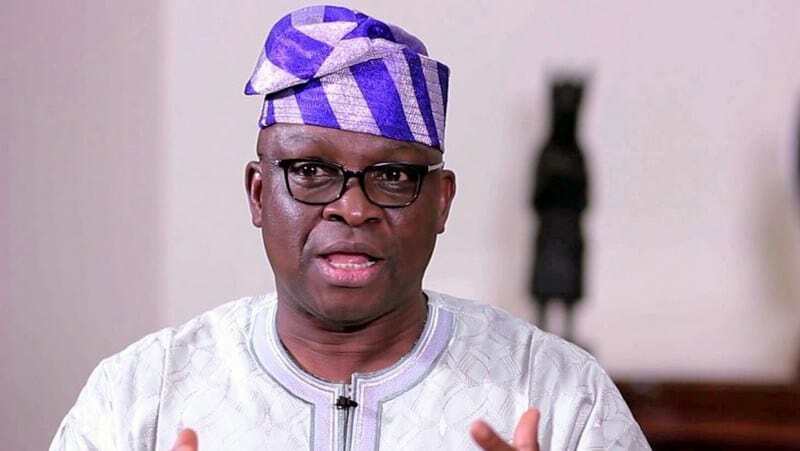 The spokesman said the organisation immediately sent a letter to Fayose, and they reportedly got to know that the land was allegedly acquired by the ex-governor for his son to build a filling station on it. Alawode said: “We went to the state Ministry of Lands and the General Manager of the Ekiti State Housing Corporation and complained. But they told us the land had been acquired by the government. So, we suspected that government can’t acquire land to build a filling station on it. “When we suspected foul play and saw the structure springing up, we sent a petition to the police commissioner and he stopped the construction. It was at the meeting with the police commissioner we got to know that the land was acquired by the governor for his son. 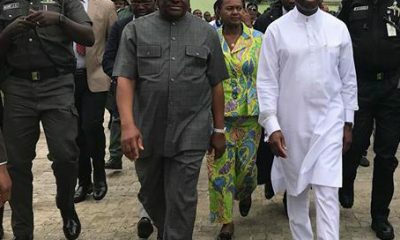 “Rather than even tender an apology, the ex-governor threatened us and said the land had been acquired and that there was nothing we could do about it. “We have documents backing our claim that we are the original owner. So, we are appealing to the government to remove the structure and give us our land back. It belongs to us. 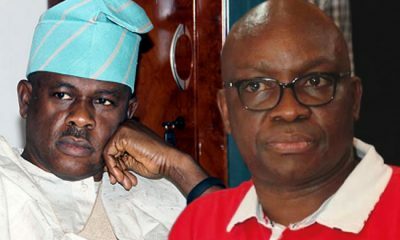 When contacted, Fayose’s media aide, Lere Olayinka, denied his alleged involvement in land grab saga. 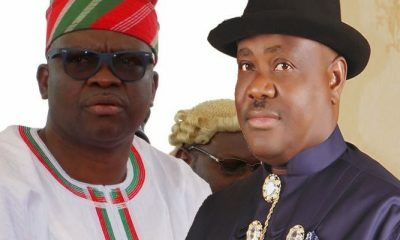 The former governor’s aide insisted that no child of Fayose was building a filling station anywhere. 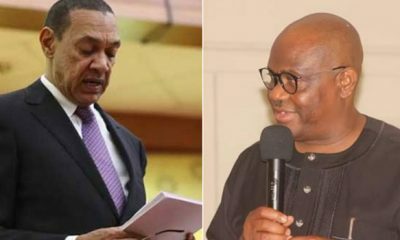 He said: “No child of the former governor is building a filling station anywhere in Ekiti State and none of them benefitted from his government in terms of lands acquisition. “All actions of his government were done within the ambit of the law; the records are there.